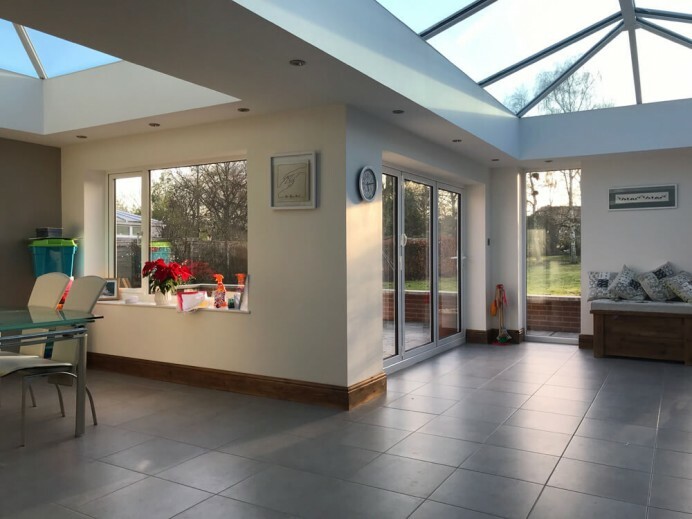 When we are working on our orangery projects, we always like to keep a close relationship with our customers to find out what they are wanting to get out of their new space, to see if there is anything else we are able to do for the customer. 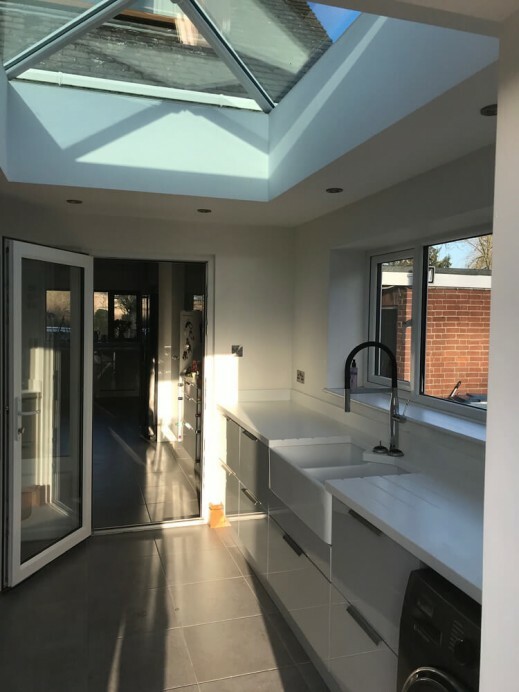 This has resulted in us providing customers with details of companies that are able to help the customer reach their final goal for the space. 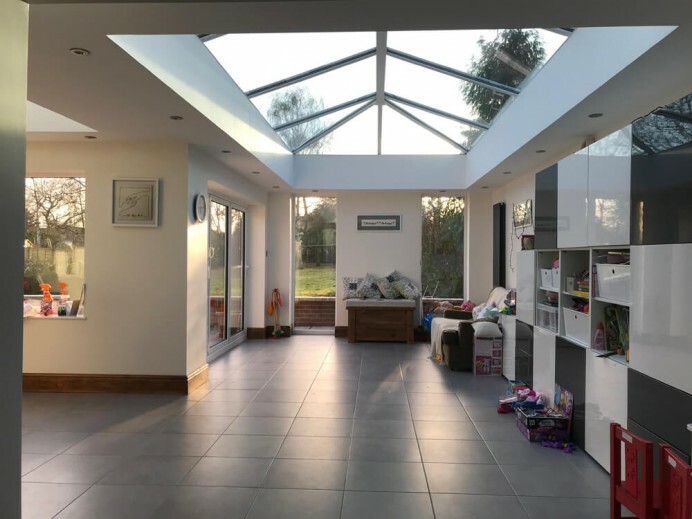 Because of this, we have built orangeries at our showroom that show customers the work of the companies we do business with, such as Long Eaton sofas who provide furnishing options, M & S interiors that provide a variety of living space options, and Colourhill kitchens who provide customers with different options for a kitchen build. 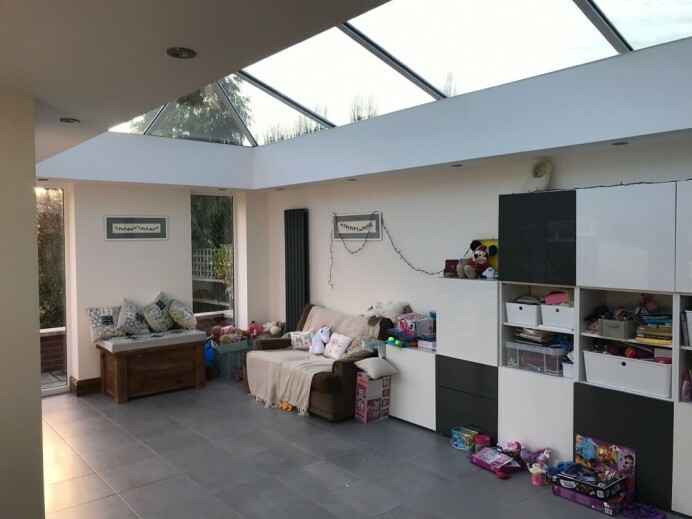 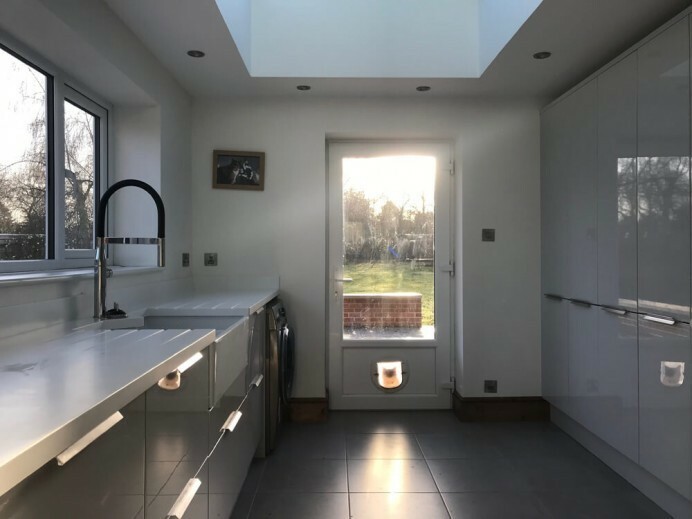 For this particular job, the customer was having our team build a large L shaped orangery built at the rear of their home that would be used a dining room, living space and utility room, and along with doing all of this the customer was looking at having their kitchen redone as well. 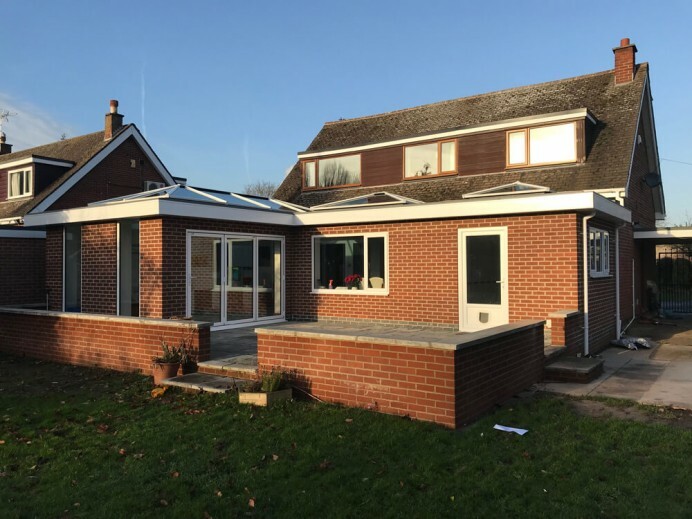 With this being the case, we passed on the details of Colourhill to see if they would be able to do what the customer was asking for, and of course they could, and the final results of the whole are fantastic none the less.